6 train to Astor Place. F or V to Second Avenue. L to 1st Avenue 14th Street station. Giano can host your private event seating 64 or up to 120 people for a non seated event. Our garden is available during seasonal months. We host showers, weddings, birthday and corporate parties. We welcome your special needs and can cater a menu based on your event. We found Giano's by accident and it was such a pleasurable find! 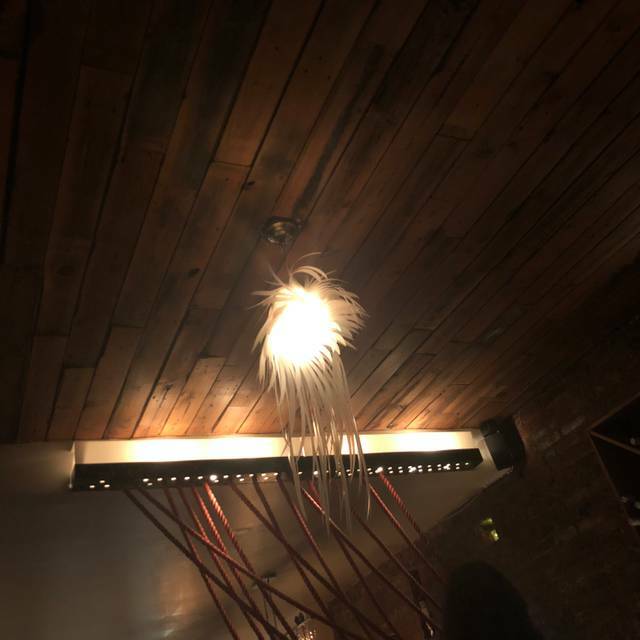 It is cozy and welcoming with interesting decor and nicely dim. The waiter was animated, funny, warm and attentive. The cheese ( burrata) had JUST come from Italy two days earlier... mouth watering. I had the tagliatelle with mushrooms and peas, it was delicious. The Argula salad was huge, fresh and delicious. The waiter invited us to combine the items on the menu in any way we wanted. I am a vegetarian and so I appreciated that offer. The Italian beer - Menabrea- I had for the first time - was delicious! 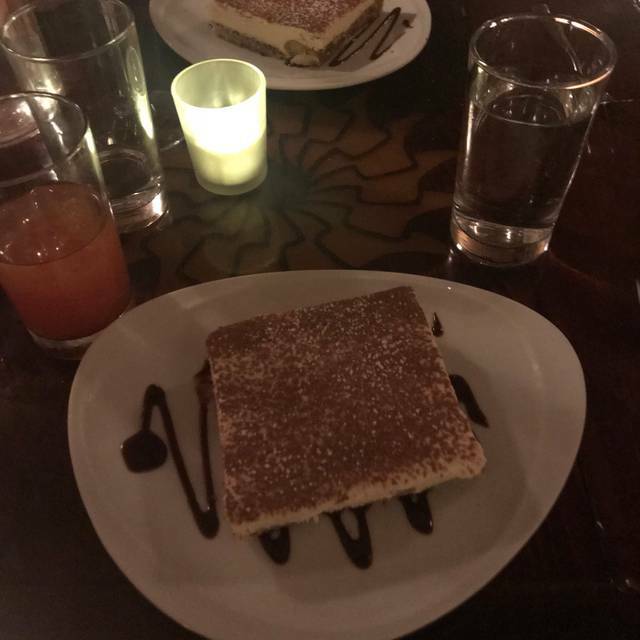 The tiramisu and hot chocolate lava desserts (with raspberry sauce) were really amazing- maybe the best tiramisu I have ever had. I also tasted the ravioli with butter and sage- delicious. A lovely evening. Highly recommending it. Thank you! Amazing charismatic staff! Loved it all. This is a perfect neighborhood gem. The food, service and atmosphere are all outstanding. The pasta is absolutely incredible and they have good wines. Two thumbs way up, Giano is a total winner! Have been here once before this, and would be happy to come back in the future. Food is fresh and delicious. Service is enthusiastic. The value of the experience is exceptional for the price. If you are looking for something really fancy, this might not be the best place for such an occasion. However, if you're looking for great food at a reasonable price, definitely give this place a try. Have been here for the 2nd time, 1st time was two years ago (I’m not in NYC that often). This is the best Italian restaurant in North America that I’ve ever been to (and I’ve been at a few)! Five stars on all categories. HIGHLY recommended for those who like ORIGINAL and REAL Italian food. Love it. One of my favorite restaurants in NYC. Food is always amazing, Paulo is a great entertainer and the specials are yummy. Would highly recommend. This place was awesome, so glad we came here. Food, service, ambiance all perfect! Would definitely recommend. Pasta was fresh and EXCELLENT. Service was good. Wine reasonably priced. Will go back. Very good food. Great environment! Perfect for a date. Nice and quiet and great service! Thank you, Giano, for such an impeccable dining experience. I will recommend you to everyone and will certainly be back again ! Best pasta I have ever had in my entire life. I completely recommend and cannot wait to go back. I bumped into this place back in January and could not wait to come back. The food is so authentic, and delicious. The wine is fantastic, and everyone there is very knowledgable and helpful. Can't wait to go back. Always such a good experience here. Amazing pasta and such friendly service. Restaurant has great ambience too. Will definitely be back! Giano has some of the best Italian food outside of Italy that I have ever eaten. It is truly, authentic Italian food - not Italo-American cuisine. The bigoli al ragu d’agnello and the spaghetti alla gricia con tartufo are some of my favorite dishes! The waitstaff is knowledgeable, attentive and friendly. I've been to Giano many times and love it every single time. Though I no longer live in New York, I come back for my birthday whenever I can. The pasta is exceptional and so reasonably priced. The desserts, especially the creme brulee, are also excellent. You really can't go wrong with any dish here, and with the friendly, excellent service and beautiful ambiance this is a must-visit. Highly recommend! The food was delicious and the service was great. 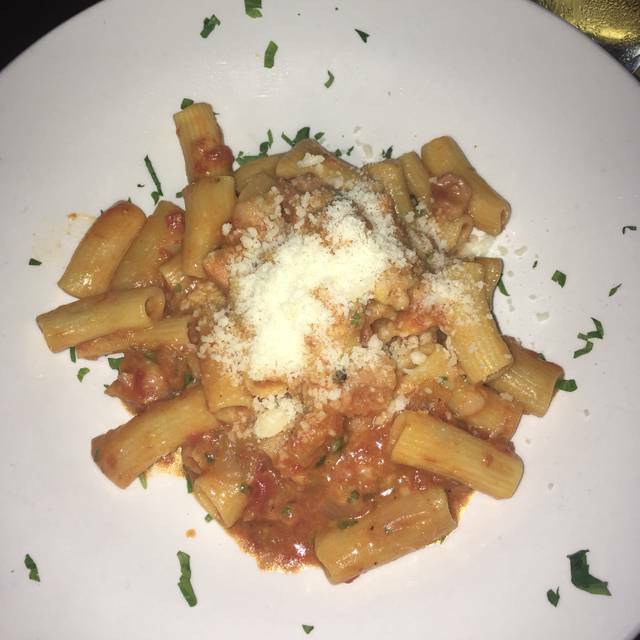 The pasta is homemade every day and some of the best I’ve had outside of Italy. Sisters in town. Nice family meal with fun service! Pasta was delicious. Food was delicious. Our waiter was delightful. The homemade pasta alone is well worth the trip. Our waiter was phenomenal, very attentive,his recommendations for our appetizers ended up tasting wonderful, our entrees served promptly but we were not rushed though our dinner whatsoever, quaint lovely romantic atmosphere however lighting so fun difficult to read from our menus,would definitely recommend this restaurant for authentic Italian food with decent portion size for nyc upscale dining. good food. nice cozy place. friendly staff. a bit on the expensive side though. Felt like a total scam with a prix fixe Valentine's Day Menu. I checked online and several other places and found no hint at any type of special menu. I paid over $100 more than I expected. I will NEVER be going back here. The food was excellent. The service was prompt up until it came time to pay our check. Perhaps she was trying to give us space to talk, maybe it was the busy holiday. But we definitely waited quite a while before anyone would bring us a bill. We came here for Valentine's Day, and we both enjoyed ourselves very much. From the moment we entered we were greeted very nicely. After being seated the waitress and waiters were very nice, extremely helpful and understanding. The ambience was perfect for the day. The food was exceptionally delicious and perfect portion sizes. Everything was great. Food, wine, atmosphere. But the service was the highlight of our night. Our server was incredible. Knowledgeable, suggestive, patient. Would highly recommend. I have been coming for years and never disappointed and never will be. Always solid and the host or maybe he is the owner he is amazing. How can you go wrong forget the big name restaurants this place is the best Italian in NYC period! Come and see yourself. 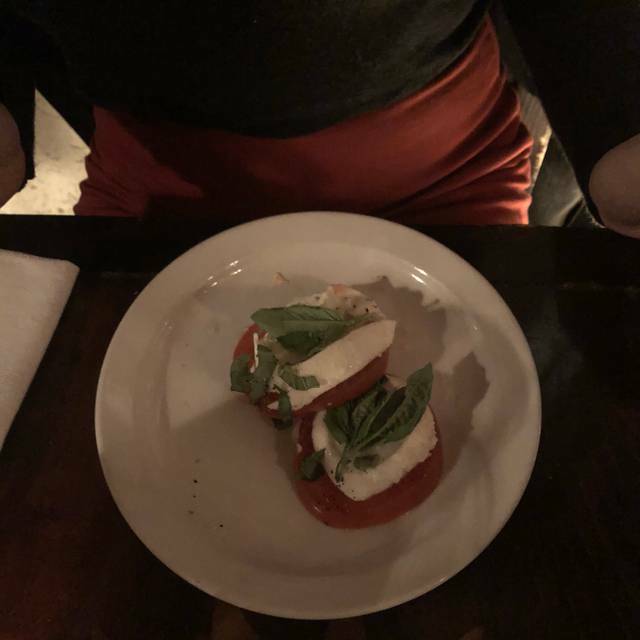 This is my favorite restaurant in NYC! I had friends from out of town who I wanted to take somewhere great. Giano is always on the top of my list. Authentic cuisine, amazing service, great wine and desserts. Overall wow! Great value as well.